BlackBerry Spark stands out in a fast-emerging market as the only platform designed and built for ultra-security and industry-specific safety-certifications. • OEMs to make complex ‘things’, like autonomous vehicles and industrial equipment which must have the highest levels of security and safety-certification, as well as consumer-friendly interfaces to complex processes and artificial intelligence (AI), such as voice-activated speakers with privacy protection designed in at the start. • Enterprises to leverage AI and manage smart ‘things’ regardless of operating system (i.e., Android, iOS, Linux, QNX and Windows) via a single pane of glass, as well as snap-in existing platform services such as Android Things, AWS, Azure, and Watson. • People to use and trust any hyperconnected ‘thing’ and the new experiences they enable by making military-grade security easy and intuitive to use. And, as the workforce continues to evolve, BlackBerry Spark will provide end users with the flexibility to move seamlessly and securely between their personal and work profiles. • In a hospital, a patient’s slowing heartbeat can trigger an alert to the right medical team and simultaneously prepare the patient’s room for emergency care. This includes automatically raising the bed to the right level, starting up a ventilator or pump to deliver prescribed treatments, and bringing elevators to the floors where key personnel is located. • Employees can soon put virtual assistants such as Alexa to work for the first time by giving them ultra-secure access to information and workflows they can’t see today such as employee files, calendars, and emails. • In transportation, BlackBerry Spark allows connected vehicles to communicate in real-time with other vehicles and critical infrastructure because the data transferred inside and outside the vehicle is encrypted and certified by BlackBerry Spark as genuine. For example, a salt truck could be deployed automatically to address a patch of black ice after receiving a notification from a connected vehicle. 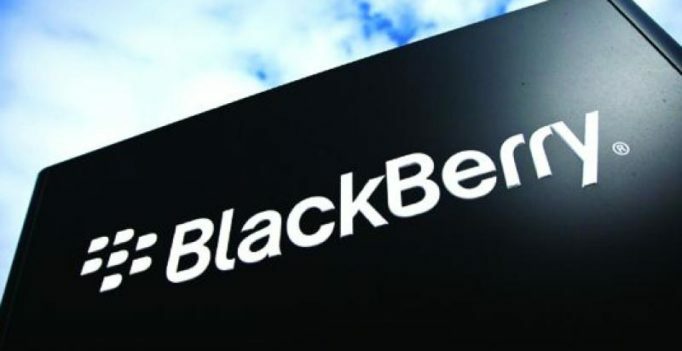 “BlackBerry smartphones sparked a mobile-first revolution that changed the way most of the world lives and works,” said executive chairman and CEO, BlackBerry, John Chen. “The ultimate outcome of this inevitable convergence of ubiquitous mobility and computing power will likely turn on the cybersecurity decisions we make collectively over the next few years,” added v.
“CCS Insight has long predicted the convergence of mobility, end user computing and the internet of objects inside businesses as computing technologies become increasingly ubiquitous and integrated across our work and personal lives,” said VP Enterprise Research, CCS Insight, Nicholas McQuire. “BlackBerry Spark is a bold but necessary step in helping organizations bridge these worlds, creating new connected experiences whilst simplifying and improving security from the chip to the edge,” added McQuire. “The rapidly expanding IoT universe contains within it a nasty surprise, every connected device is a potential access point for an attacker wanting to penetrate the network to do damage or steal personal data,” said Rob Enderle, principal analyst, Enderle Group. BlackBerry has long been fully committed to the principles of never monetizing client data and protecting customer privacy to the full extent of the law. BlackBerry believes that security and privacy are essential for people and machines to confidently trust what sensors and other endpoints are reporting. BlackBerry Spark leverages the company’s deep portfolio of technology that has earned 80+ certifications, which is more than any other IoT vendor. It includes FIPS-validated, app-level, AES 256-bit encryption to ensure data is always protected on a device, across the mobile network, and into a company’s infrastructure. BlackBerry Spark will enable organizations to comply with stringent multi-national regulatory requirements. In fact, BlackBerry is the only EoT platform provider to achieve Common Criteria EAL4+ for both iOS and Android.